Many tourists visiting Florence are constantly asking “Where can we buy leather goods in Florence?” For centuries, Florence has been the most important region in Italy for leather goods, and depending on your personal preferences, you can choose so many different types of leather goods using different qualities, textures and finishes of leather. 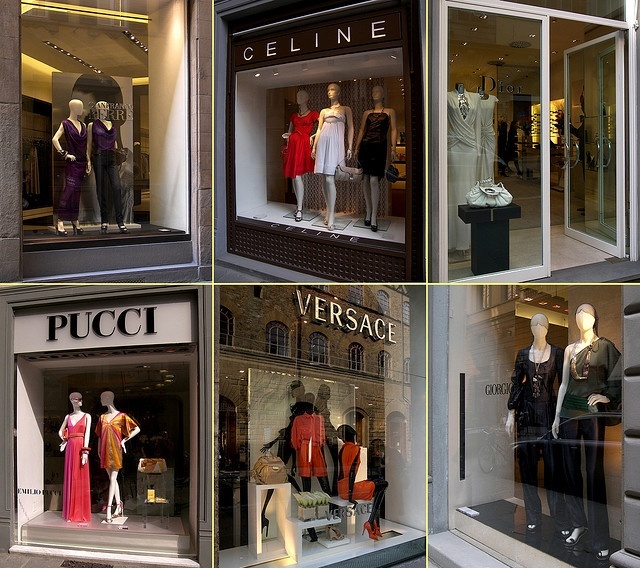 If price is not an issue and you want something special and of good quality, you could go in the city center on Via Tornabuoni, Via Strozzi or Via Roma, where you will find famous brand shops where you can buy original designer leather goods. Obviously, we like to think the high end designer brands will be using genuine leather of very high quality. 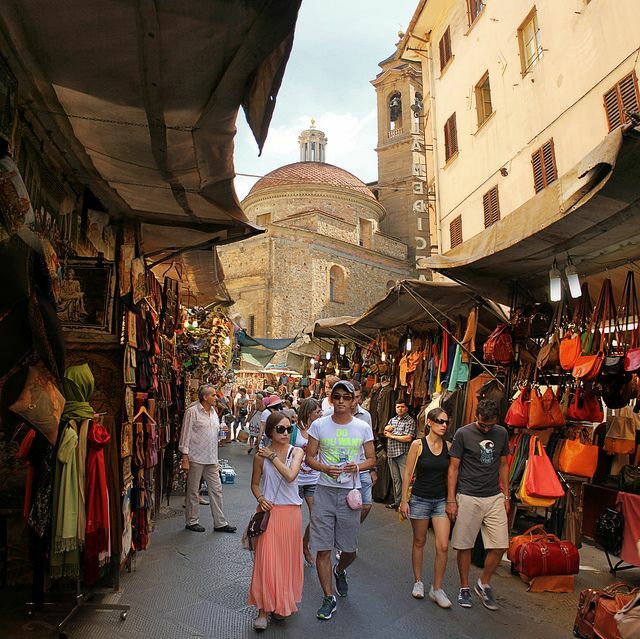 If you don’t want to spend a lot of money, you could go to the leather markets, most famous of which is the San Lorenzo or Mercato dell Porcellino near Piazza della Signoria. The leather goods are not as expensive but not always of good quality. 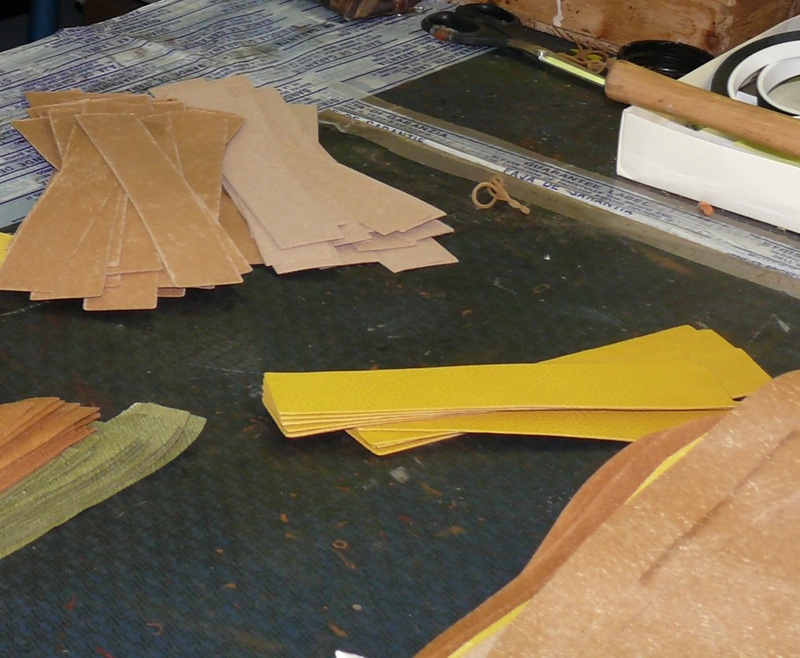 If you want to find the middle solution between price and quality you can find some local leather shops around the city. Purchasing leather merchandise where the quality is guaranteed and the production is 100% Italian, you could visit a leather factory, where you can observe how leather bags and leather accessories are made by experienced craftsmen and women. 1. Smell: Genuine leather has a light natural smell. Fake leather usually has a strong smell of plastic or chemicals. 2. Warmth: Genuine leather transforms human warmth, while fake leather does not. So, if you hold a piece of genuine leather in your hand it gets warm. 3. The look: If you look carefully at genuine leather, it has an unique pattern. Fake leather has a repeated pattern. But be careful, because here you can confuse a fake leather with a genuine printed leather which has an homogeneous pattern. 4. By touch: If you touch genuine leather, it should be soft and elastic. If you stretch or bend it, it should easily return to its natural form. With fake leather the folds could remain or it could lose its color in the place where it is bent. The reverse side of genuine leather is velvety, whereas on fake leather it is smooth. 5. Fire resistance: If you hold a lighter near genuine leather it will gradually shrink and emit a smell similar to the smell of smoked chicken. When a lighter is held next to fake leather, it will usually react like a burned plastic bottle emitting an acrid smell and releasing black smoke. But some of the genuine leather products are covered with special coating that could react in the same way. So be careful doing this experiment in order not to spoil your leather bag or jacket. 6. Water: Genuine leather absorbs water and some spots of a darker tone usually remain. Fake leather does not absorb water, so it would just roll off. So, following this simple guide lines you can easily recognize genuine leather from fake leather.